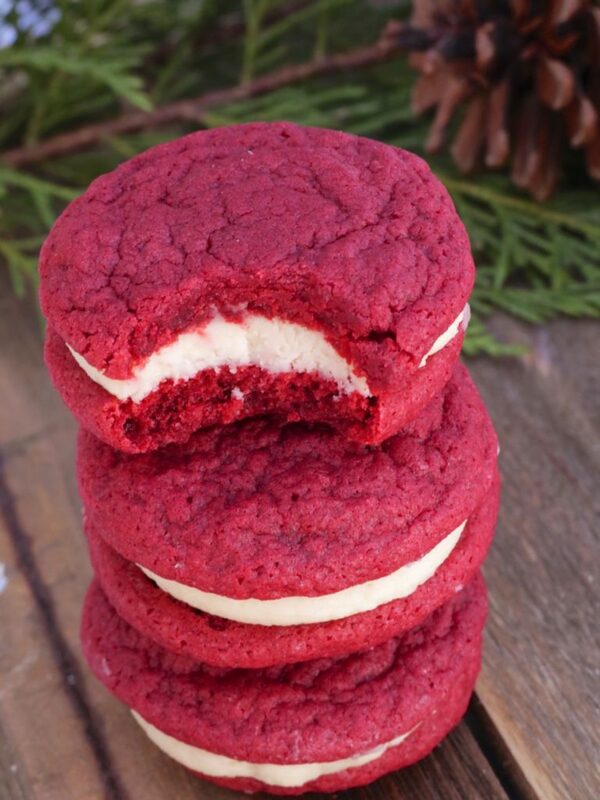 Watch me make these soft n chewy red velvet cookie sandwiches from start to finish! It’s the first day of December!! Which means it’s time to bring on all things sweet and all things red velvet!! Hopefully, you’ve already made this red velvet cake which is one of the most popular cake recipes on my blog to date! Oh and these amazingly chewy red velvet brownies!! 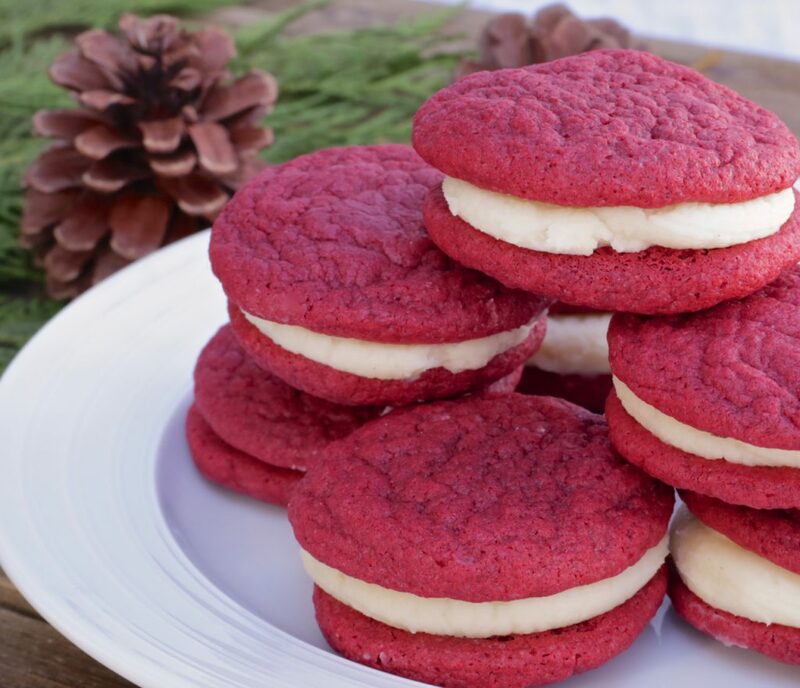 Today I’ve got another delicious red velvet recipe to add to the stash, Red Velvet Cookies w/ Cream Cheese Filling!! These guys are, omg yall. Let’s just take a moment of silence. That was for the extra stomach roll I created from eating batches of these. Hey, January will be here before you know it so until then I’m going to explore the culinary world with joy and reckless abandonment!! Wanna join me!!? 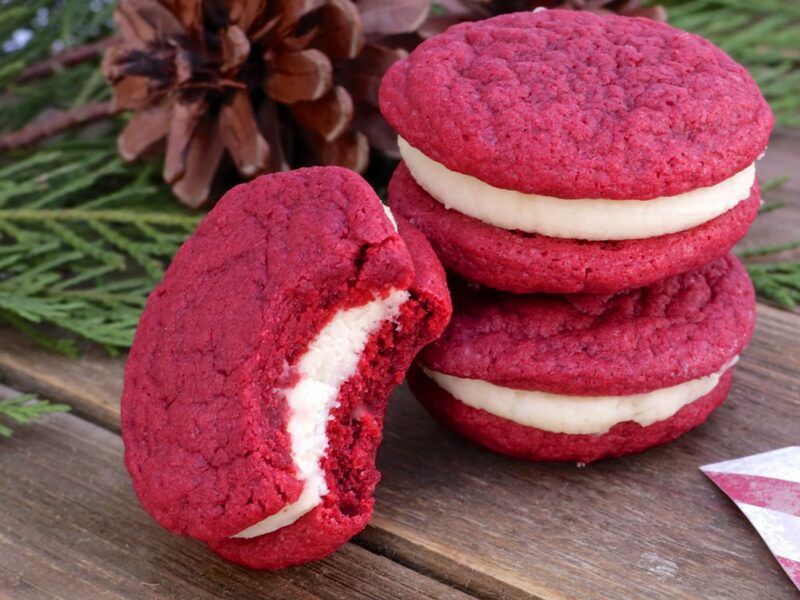 We’ll start our journey by enjoying these ultra chewy red velvet cookie sandwiches! They. Are. So. Freaking. Delicious! You keep these cookies in the fridge so the filling is like cheesecake and the cookie stays so soft and chewy. They pack in an authentic red velvet taste which is slightly chocolatey, slightly vanilla, with a hint of buttermilk. 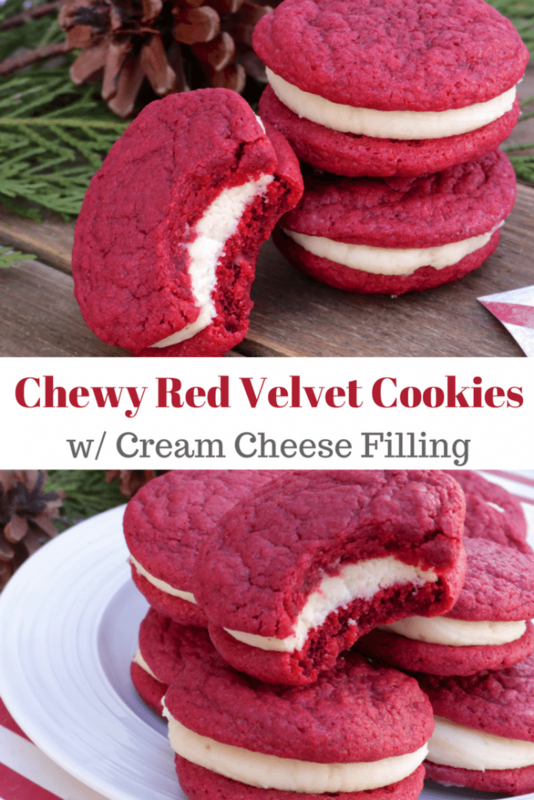 The cream cheese filling just brings it right on home to the familiar red velvet territory! Feel free to throw in some pecans or walnuts. My kids get all weirded out with nuts sometimes, so I left them out. But they sure would look pretty sprinkled around the sides of the filling. 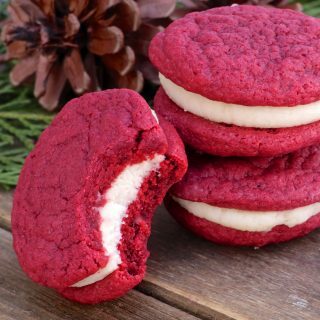 These red velvet cookies are probably my new favorite cookie this season. It tastes AMAZING! thank you! These were a hit on Chrustmas. In fact, I mad them again last night. The only thing is that I had to put the dough in the fridge so that I could handle it. Otherwise, it was sticky and I couldn’t do anything with it.